There’s something about making a new year’s resolution (or several) that gives us something to look forward to and strive for throughout the year. Many of us make general new year’s resolutions about our day to day lives and how we can improve ourselves, like goals that so to speak. So if you’re a goal oriented RV camper or even a novice RV-er just trying to spend more time on RV camping trips, then why not make a list of RV-specific resolutions to keep you motivated and excited about RV camping throughout the year as well? 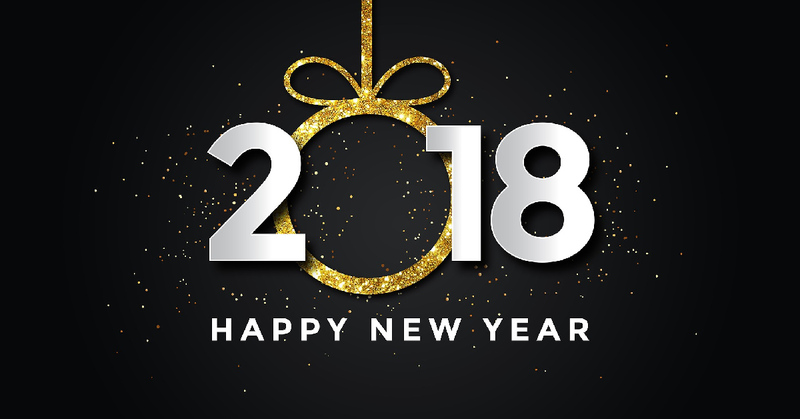 There’s certainly nothing wrong with having a favorite campsite that you go to most often but as a new year’s resolution, make it a point to find a brand new RV site that you haven’t tried before. California boasts a wide variety of RV campsites to choose from so get out of your RV comfort zone and try something new! 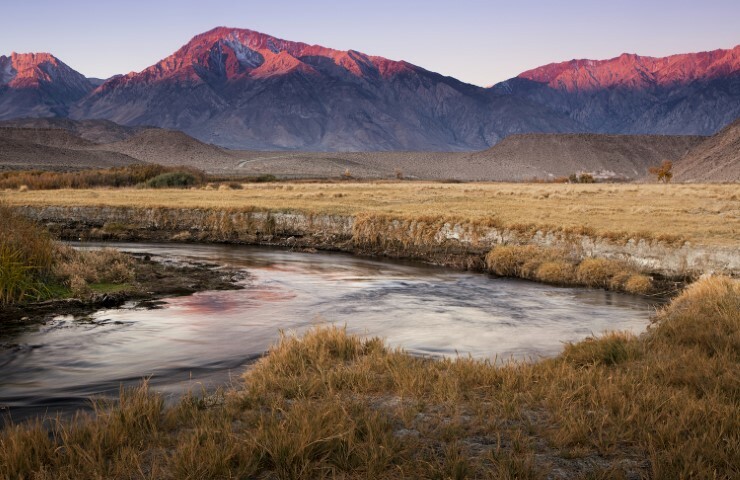 When it comes to RV camping in California the scenery varies as much as the campsite selection so don’t limit yourself to just one type of climate or area when you choose your destinations. RV camping in the mountains, near redwood forests, or next to the ocean are all options when you’re on an adventure in an RV, especially in California! 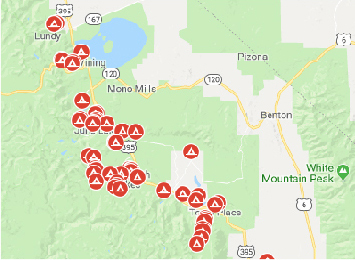 Ever taken an RV trip in the snow? 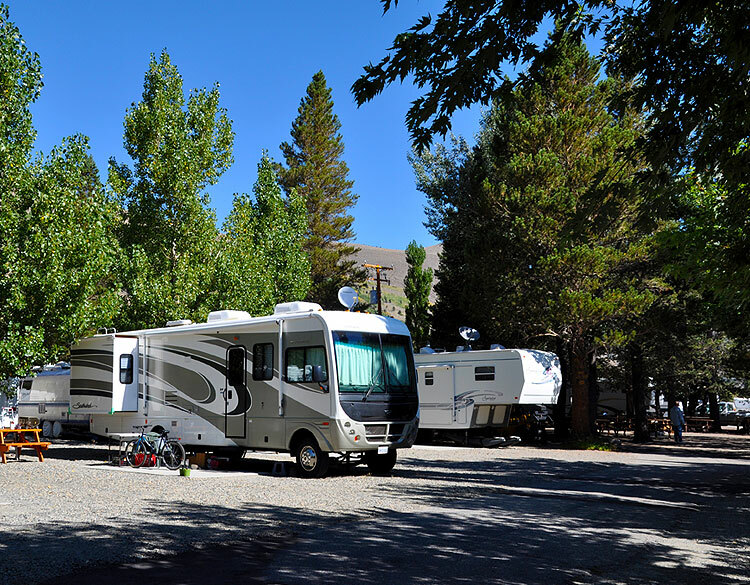 Why not give the Mammoth Lakes area a try this season as a new year’s resolution and experience the beauty of any number of RV campsites in the region. If you’ve never had the experience of RV camping with friends or others outside of your immediate family, then it really is something you should try this year! Not only do you get to share the outdoor adventure with people you care about, but it also makes the trip much more convenient when it comes to planning activities or cooking for example. And as for bringing your furry friends along with you, just be sure the campsite is dog-friendly before hand. 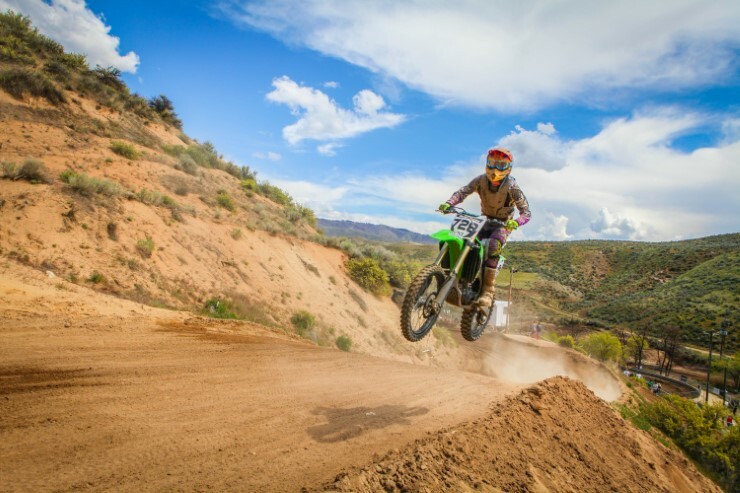 From hiking and fishing to horseback riding and mountain biking, there is an endless supply of outdoor activities to choose from when RV camping this year. But why stick to the same old trails or bike paths when you can try a completely new adventure, like horseback riding, kayaking, or snowshoeing? Check out the local outdoor activities offered at the campsite you’re staying at, or find a site based on the activities available nearby. To try a whole new way of RV camping and have even more fun in the process, check out how Adventure in Camping can make all your RV camping resolutions come true this year! With a unique service that allows you to skip the hassle of loading up and transporting an RV trailer, Adventure in Camping can help facilitate a less stressful and more enjoyable 2018 RV season.